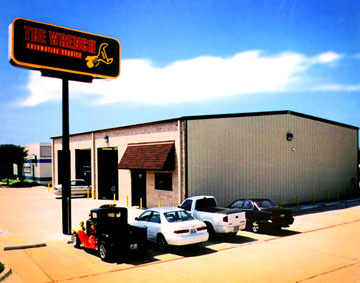 Durability and rugged design is what auto repair shops, vehicle dealerships, RV garages, and welding shops require for their metal garages. Nothing is more rugged than a RHINO prefabricated garage kit. 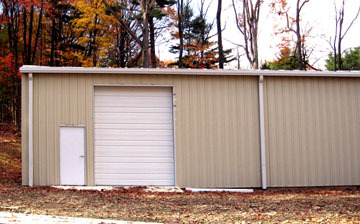 RHINO metal garage building packages include overhead doors and framed openings which can be located wherever required by the customer. Overhead doors are available in drum or sectional styles, in a variety of sizes up to 36’ wide, with manual or electric lifting systems. If larger doors are necessary for a heavy equipment or agricultural equipment repair facility, 45’ and 60’ wide overhead doors are also available with manual, electric or hydraulic lifts. Sliding hangar-style doors can also be supplied. 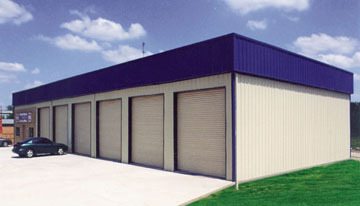 Overhead doors are certified wind rated to meet all local building codes and can be insulated, if required. Call your RHINO today to speak with a qualified building expert about your metal garage or shop building requirements: 940.383.9566. 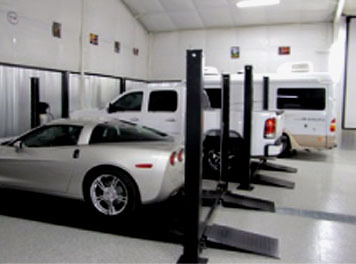 Share the post "Metal Garages"